Just about two weeks ago, I broke the news that Metroid Prime: Trilogy Collector's Edition , Mario Strikers Charged , Battalion Wars 2 , WarioWare: Smooth Moves , and Wario Land: Shake It! are no longer being published/shipped by Nintendo in North America. All the games mentioned above are games by Nintendo. Well, I received confirmation today of two 3rd Party Wii games currently not being published or shipped in North America. One of the games canceled wasn't surprising to me, but the second game was very surprising to me, because it was released less than a year ago! The publisher I contacted was THQ. 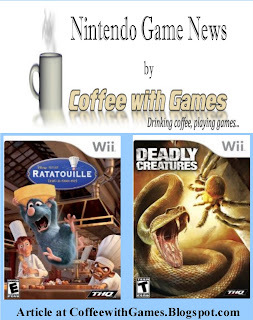 If the picture up top, or the title of this entry didn't give it away, the two Wii games currently not being published/shipped by THQ are Ratatouille (released in 2007) and Deadly Creatures (released in 2009!). My source at THQ said both the games, "...are currently 'inactive', meaning that they are not currently being manufactured...". My source said that they weren't aware of any plans to "...shift the titles back into production...". If you were planning on picking up either of these games, now may be a great time to locate a copy. Ratatouille doesn't have any information on the Nintendo Channel, but Deadly Creatures does. If you haven't seen anything about Deadly Creatures, here's one of the first video trailers that was made for Deadly Creatures! I was/am interested in Deadly Creatures, but I never picked it up. If you played either of these games, what did you think about them? If you haven't played either of them, does the information from THQ about these games not being manufactured currently, make you want to try to find a copy of them now? Hmmmm, it seams very unusual that so many titles are going "inactive" at the same time. Even really crappy titles that don't sell well are usually available even in small numbers. On the Aggregate, the actual manufacturing and shipping cost of low volume titles is really minimal. While there is no "plan to shift titles back into production". The funny thing is that for the most part is isn't the sucky titles going away, they are either great games with relatively low sales (Metroid 3/Trilogy), or well received games with low sales (Deadly Creatures, Pikmin NPC, Mario Strikers), to me this SCREAMS players choice titles. We could see all new artwork, just a Players Choice logo added, or maybe even more bundles. I would be shocked to see these go away for ever. I agree! Nintendo of Japan just announced a "budget line" of games, but Nintendo offices in Europe and America have yet to confirm anything. It has some moment, that makes you jump out of your seat. Some Psychodelic Artstyle, creepy Sounds and Music. The Story is "passive", it´s about atmosphere. Fights work alright mostly, a bit too much waggle and QTE. I never played either, but I did enjoy the movie Ratatouille. I figured it would be on DS and be like one of those cooking games. I highly recommend Deadly Creatures. It was creepy and atmospheric and completely unique. There was just something very cool about playing as a spider and a scorpion. Crawling all over the walls and upside down on the roof with the spider was fantastic. I rented Deadly Creatures and couldn't get into it. And I remember someone saying Ratatouille was one of those movie games that was actually decent. Naaah, Deadly Creatures was an attempt at something good, but overall it didn't quite grab me as something you should buy. Woulda given a 7.5/10 methinks. I'm going to try to find it now before it becomes harder to locate. I haven't played Ratatouille either, but the game does look interesting from some videos I've watched. I watched the movie once in a theater, I should rent it and watch it again. I've heard the music in the game was well done, helping add to the atmosphere. I was also surprised when I learned they had some recognizable actors do the voice acting in the game. I guess if the game wasn't selling, then there isn't a reason to produce it anymore, though bundling it with another game like Ubisoft has done with Red Steel and No More Heroes, may have worked well for Deadly Creatures. 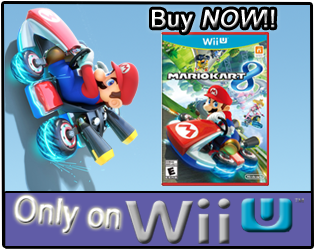 Not sure what other Wii game THQ would have bundled with it though. As I mentioned earlier, I watched a few game-play videos of Ratatouille and it looked interesting. 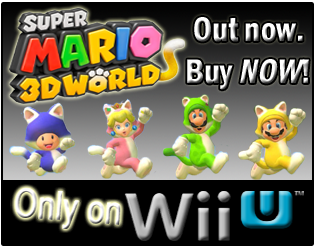 It seems like a 3d platforming game, though I'm not sure how well it all functions. Do you think the game is worth a buy at the $20 price level? Or just a rental? Thanks everybody for all the comments! I would enjoy hearing back from you on some of the questions I had! I have Deadly Creatures. I enjoyed it...it probably could have been longer though. I still have to go back through the game and find all of the items and stuff. But overall I thought it was a pretty legit game.